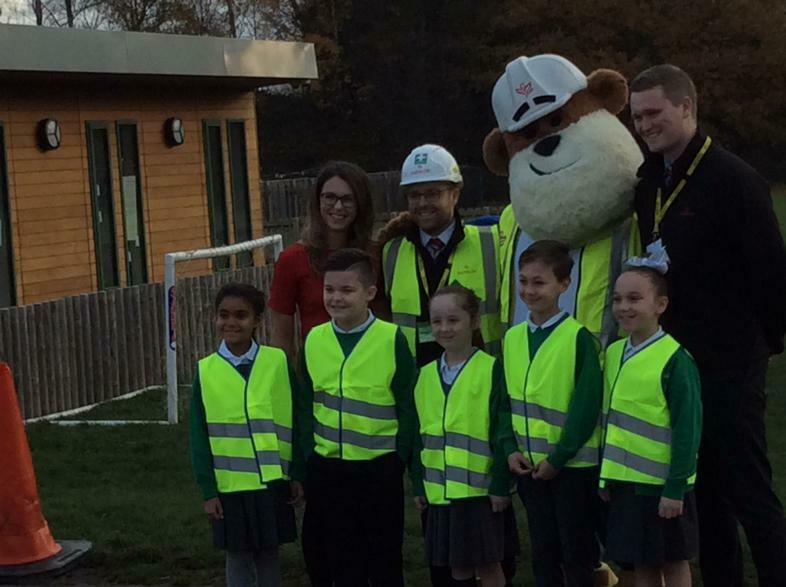 The children welcomed the team from Redrow Homes into our school assembly this morning, which coincided with the launch of our Health and Safety Week. 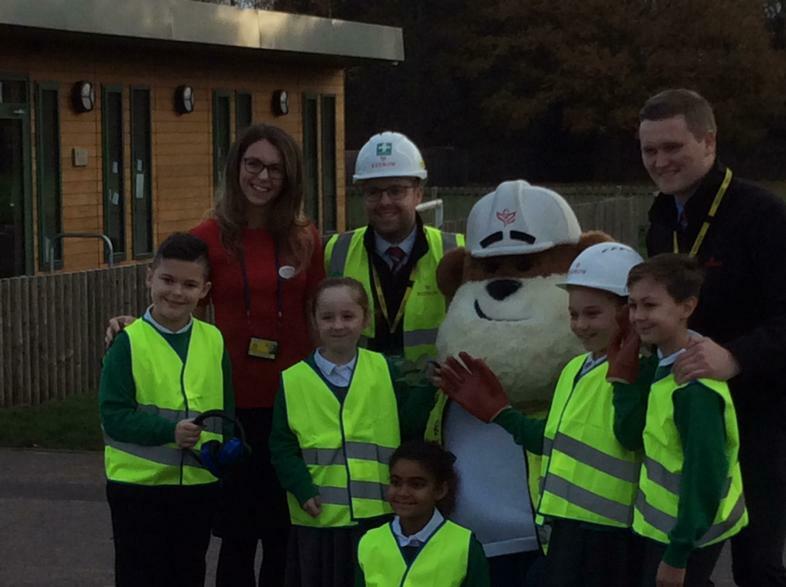 All the children were excited to meet the Redrow Bear Mascot. 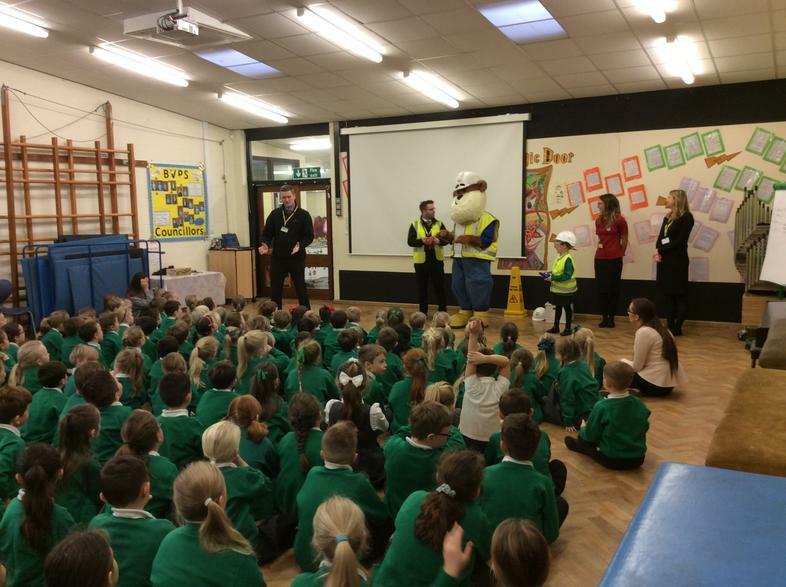 During the assembly the children were shown all the safety equipment that is needed to remain safe on a building site including ear defenders, hard hats, safety gloves, high vis jackets and the special boots. The team talked about the importance of staying away from a building site and at the end of the assembly they all made a promise... "I promise not to go onto a building site because they are dangerous." 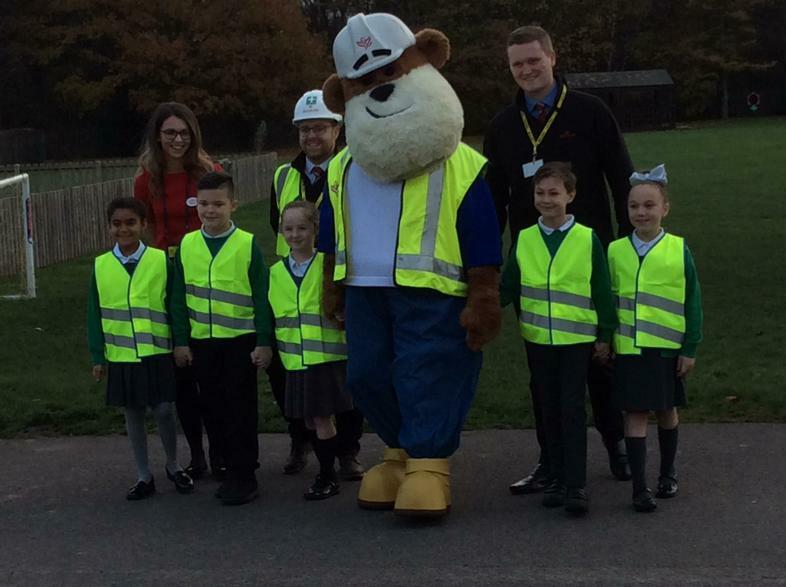 The school were also given a number of high vis jackets for the up coming 'Walk to School' Week and for the children to play with in their role play areas. 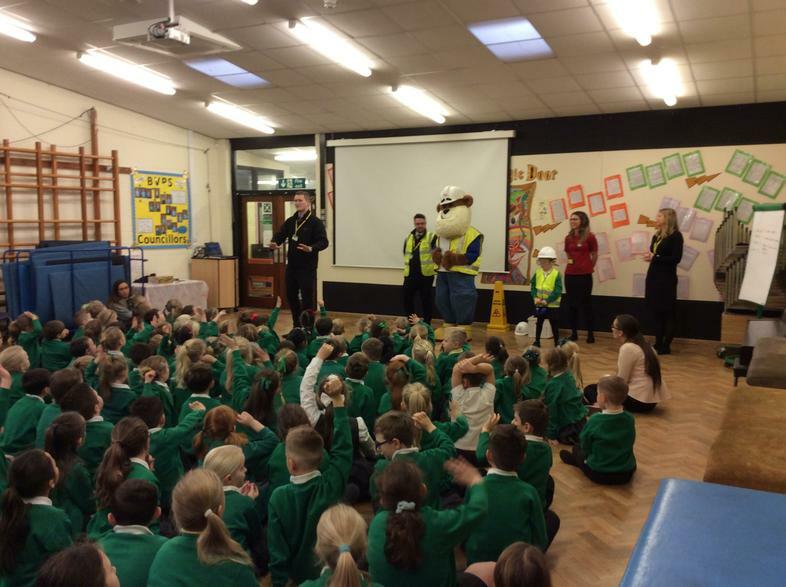 Thank you Redrow for an interesting assembly and launch of Health and Safety Week.